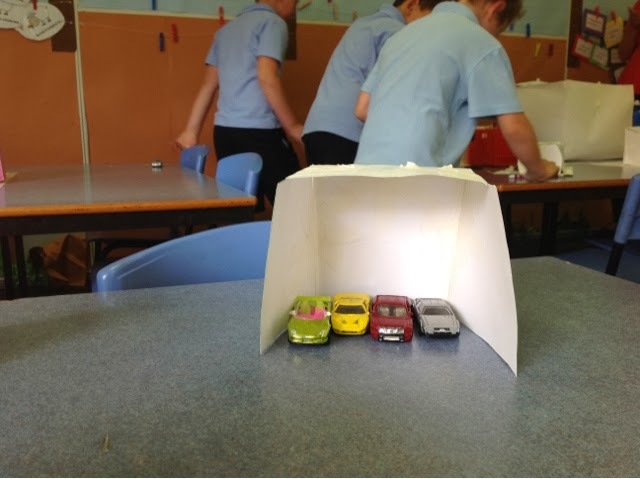 Cars have taken over our Maths lessons lately and have helped us with measuring length and estimating. 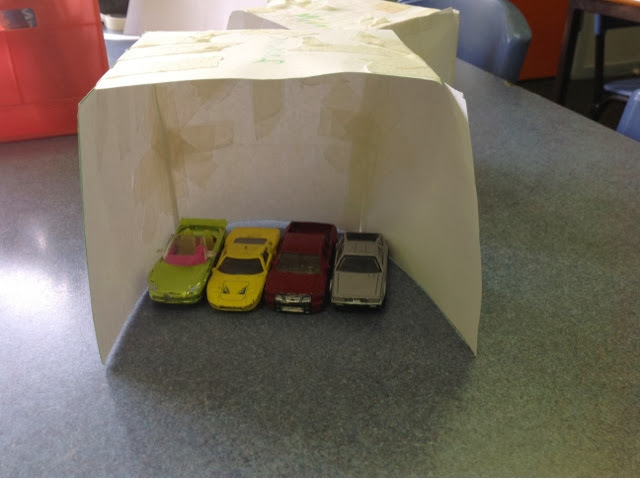 This week we have been looking at garages to store our zooped up machines. 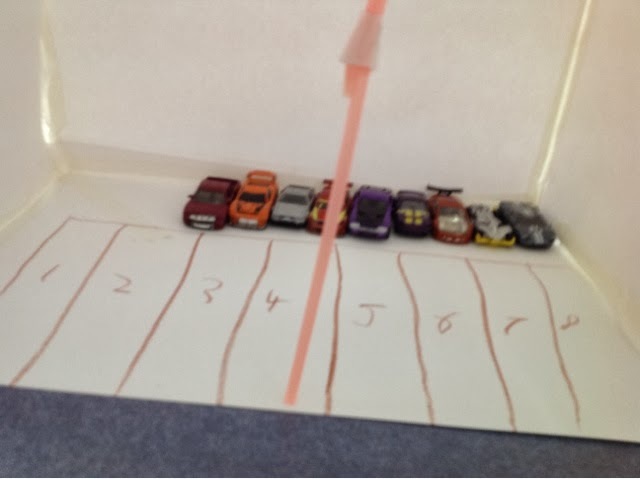 Our first lesson had us estimating how many cars would fit into different sized 'garages'. 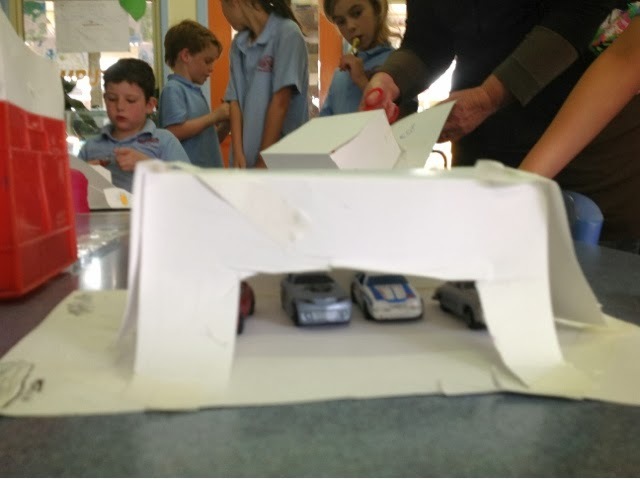 Yesterday we had to become engineers and construct our own garage that would fit exactly 4 cars in it. Some of us were spot on, and others have a bit of work still to go. 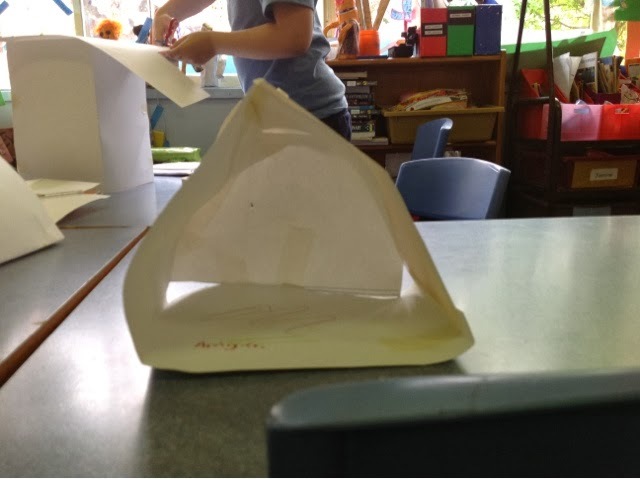 Read on to find out how we went. Dear Grade 1/2. 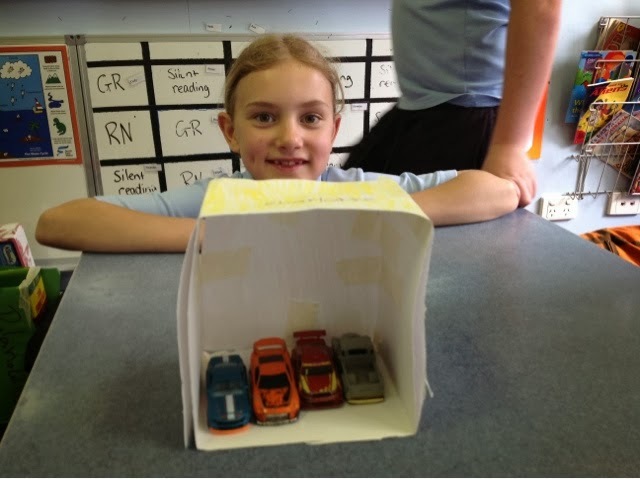 I have enjoyed reading about your work measuring cars & garages, the Jazz Festival & looking after Kobe. I am enjoying my leave & enjoyed travelling to WA & SA. One of my best trips was whale watching. I was wondering if you could help me with some Christmas shopping. Can you give me some ideas for presents for a girl in year 2 & some ideas for a boy in year 1. They are nieces & nephews & I thought you would be the best to ask. Hope you enjoy the last weeks of school. Happy holidays not far away!